Santanu Roychowdhury from Calcutta, B.Sc Graduate. TALEND ACQUISITION PMS & HR MANAGEMENT EMPLOYEE ENAGAMENT COMP & BENEFITS PAYROLL STATUATORY COMPLIANC..
are one of expert skill area's of Santanu Roychowdhury . 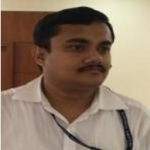 Santanu Roychowdhury is working in IT Software industry.